Gnomes are small creatures that enjoy playing with things they probably shouldn’t. They are as known for stating the obvious as they are for missing it. They tend to be fearless, but only because they rarely recognize danger. 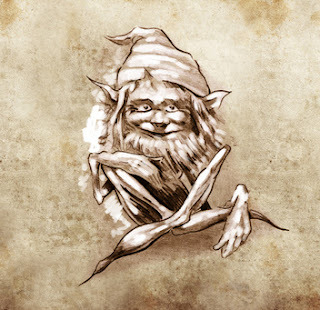 Mortal Gnomes have a maximum Intelligence of 25, and a maximum Strength of 15. All other attributes have the standard maximum of 20. Energy Defense +5. Gnomes make good conductors. +5 for all checks which involve resisting fear. Gnomes that remain perfectly still fade from vision, although other gnomes can still see them. Doing this in combat requires spending an action on being motionless. Attacking from this state only gains surprise if the target didn’t see you disappear in the same location. Gnomes look at a bush and see the flowers on them, instead of the pointy metal things hiding in them. 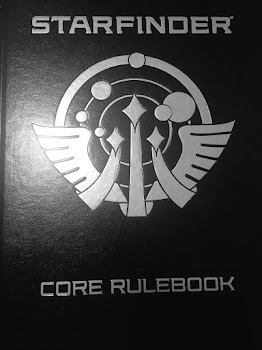 Their initiative is automatically slowed during the first round of any combat. Gnomes are recognized for their superior noses and amazing culinary skill. Selecting this ability means you can detect usable cooking ingredients easily, especially by scent. You know about fungi and herbs – and which fungus and herbs are dangerous to consume. And, of course, you can cook excellent meals. When a check is required to perform any tasks related to these capabilities, you gain a +5 bonus. Gain Alchemy and Debate as bonus specialties. Gnomes like to argue almost as much as they like to blow things up. Some Gnomes are able to throw their voices while using Motionless Invisibility. In doing so, you can either obfuscate the exact origin of your voice to your general location, or deliberately place the origin of your voice at any location within 5m + 1m/level of your true location. Using this ability will not disrupt your invisibility. Sometimes a Gnome goes off on a tangent and doesn't come back for a while. Gain a bonus Mind specialty of your choice, reflecting dedicated independent study. Gnomes love wands, and any similar devices. Gain proficiency in all Energy Focuses - including Dimension, Light, Thought, and Vibration. I like this sort of divide. It allows gnomes to fill more than one niche.